Starting in January 2013, my Intel NUC series is now over has reached the heady heights of double digits over the past few years, so I figured it might be handy to make them a bit easier to find! Why Intel NUC for a homelab? The clue is in the name! Info on Synology storage and Cisco SG300-10 switches. I have subsequently added a further 3 Synology NAS boxes and a Cisco SG300-20! 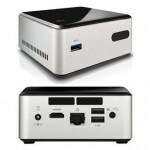 NanoLab – Harder, Better, Faster, Stronger Intel NUC Models Out Soon! 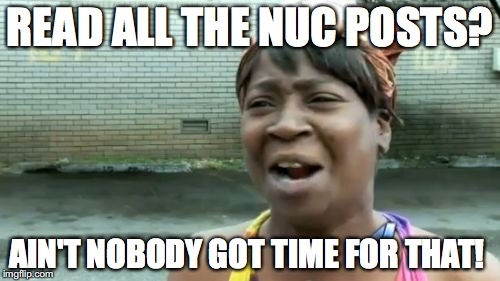 Yet MORE Intel NUC Models on the way for your Nanolab! 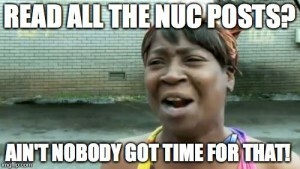 Gen 4 NUCs on the way! (Ok, this is a bit out of date, but left in for completeness). Stack em high, keep em cool! No more driver injection! Happy days! No description necessary! The clue is in the title! Stick something in the back of it! Job done! Congratulations to the VCAP5-DCD Official Cert Guide Winners! Firstly, congratulations to the winners of the signed VCAP5-DCD Official Cert Guide competition! Thanks very much to everyone who entered, and particularly to Paul @pmcsharry, who kindly provided his book and at draw time added a second copy for another lucky winner, as well as the London VMUG @LonVMUG for providing the VMware View book! 1st Runner Up – Aravind Sivaraman (@ss_aravind) from Bangalore, India also wins a copy of the VCAP5-DCD Official Cert Guide. 2nd Runner Up – Alexandru Covaliov (@peposimo) from Montreal, Canada wins a copy of VMware View 5: Building a Successful Virtual Desktop by Paul O’Doherty. Prizes will be posted this week; good luck with your exams and let us know how you all get on! Well here it is, the moment you’ve all been waiting for… a chance to win a signed copy of Paul McSharry’s VCAP5-DCD Official Cert Guide! If you haven’t already heard of it, I recently did a review of it here. To summarise, I can whole heartedly recommend the book, not only as a key component in your VCAP5-DCD study, but as an excellent reference resource for designing vSphere infrastructures out “in the wild”. One runner up will also receive a copy of VMware View 5: Building a Successful Virtual Desktop by Paul O’Doherty. Thanks to Paul McSharry (@pmcsharry) for providing the VCAP5 book, and London VMUG (@LonVMUG) for the VMware View book! 4. This is only for a bit of fun, so I obviously wont use your details for anything other than sending you the book. I will not spam you, etc. Written by Consultant, VMware Certified Trainer and vExpert Paul McSharry, the VCAP5-DCD Official Cert Guide is an excellent resource for solidifying and testing your knowledge in advance of sitting the actual exam, as well as a useful reminder guide for your day to day role in design. As I mentioned in my VCAP5-DCD Exam Prep Resources article, I saw my study as being split into two distinct areas, Holistic Design and Technical Design. For me, this book falls very much into the former category, mainly covering the process and methodology for producing a design. Plenty of great practice questions at the start and end of each chapter as well as the included practice exams. For me this was one of the most valuable features of the book as it helped me build confidence in my knowledge and highlighted areas for improvement. Many tips / suggestions of processes and activities to use in your real design engagements, my favourite or which is to spin up an internal wordpress site or similar and use that to disseminate project information to stakeholders and users. The only minor tweak I would like to have seen would be in the practice questions, where there are some questions which require multiple answers. In the real exam, VMware generally specify the number of answers to select [e.g. Select three of five answers]. This would have been good in Paul’s test questions too. The print version of the book also comes with a DVD that includes test exams, another great resource, especially when genuine (not brain dump!) tests are not common and can be quite expensive. I did not have time to go through these tests prior to my exam, so cannot reasonably comment on their quality, but based on the sample questions in the book I would suggest they should be of a good standard. The book is available from all the usual outlets including in both hardback (with DVD) and Kindle formats. To summarise, I can whole heartedly recommend this book, not only as a key component in your VCAP5-DCD study, but as an excellent reference resource for designing vSphere infrastructures out “in the wild”. Finally, keep an eye on my blog later HERE I will be providing an opportunity for one lucky person to win a signed copy of this book! Disclaimer: I was kindly provided a copy of the book by Paul, however there was no expectation or requirement to review or publicise the book.